You are here: Home > Awards & Events > Awards & Recognition > The Responsible Business Awards Gala Dinner 2019. Celebrate, network and be inspired. Buy your tickets today. The Responsible Business Awards Gala Dinner 2019. Celebrate, network and be inspired. Buy your tickets today. 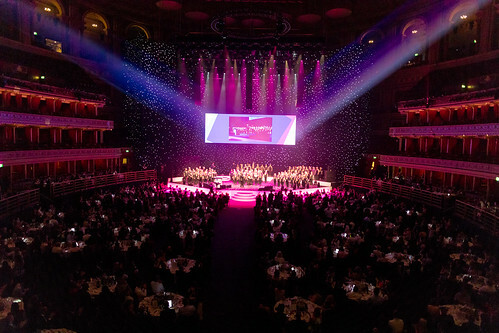 In partnership with Lloyds Banking Group, join us to celebrate the leaders in responsible business at our Gala Dinner, taking place on 9 July 2019 at the Royal Albert Hall. This event brings together the best and brightest in responsible business and is attended by over 1,000 guests. To keep up to date with all Responsible Business Awards activitites, sign up to receive regular awards updates.